E-Cigarette Pro Kit – Valued at $99.97! Best-E-Cigarette-Guide promises never to share, trade, sell, deliver, reveal, publicize, or market your email address in any way, shape or form. I want to win as I am so tired of smoking and having it dictate my life. I want to quit so much and get my life back! I would like to stop smoking reg. cigs for health reasons and try these. Thanks for the opportunity to try Ecig. I am currently a smoker of cigarettes and wanting to quit! Would love to win! Thank you for the giveaway. I’ve been vaping for a few years now and enjoy trying new vape products! I quit smoking due to using electronic cigarettes! You are welcome and congratulations on quitting smoking! Ecigs are helping millions of smokers and are a powerful method for tobacco harm reduction. Good luck with the giveaway! 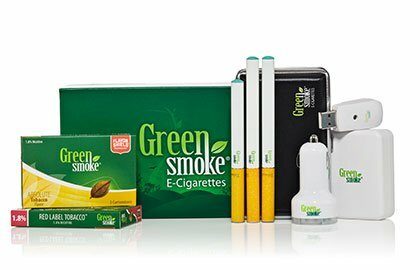 Is this the site to ENTER to win Green Smoke Giveaway kit? If so please enter me! Hi Tandra! Yes it is the site to enter. Just use the entry form on the page! You gain extra points when you follow, share, comment, ect. Good Luck! I want to win cause i love this brand and it helps me quit smoking . I would love to win for my hubby. He needs to quit !! I love to try these I have been smoking for years and I love some help to quit. I want to win because it will help my sister be healthier! This looks like the best e-cigarette on the market. I would love to try it.